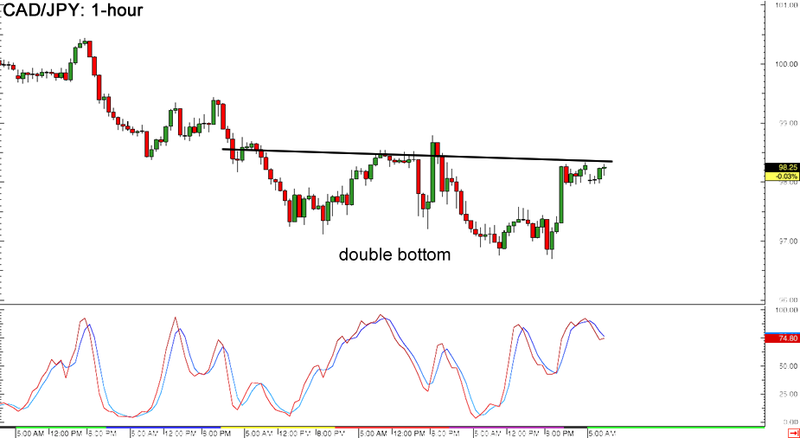 Is this a double bottom pattern I’m seeing on CAD/JPY’s 1-hour forex chart? The neckline seems a bit tilted but this sure looks like a potential reversal pattern. Price is already testing the neckline resistance around the 98.25 level and may go for an upside break. In that case, CAD/JPY could climb by around 150 pips, which is the same height as the chart pattern. Stochastic is already moving down from the overbought area though, hinting that Loonie bears could take control and that the neckline resistance might hold. If this happens, the pair could make another bottom near the 97.00 handle. 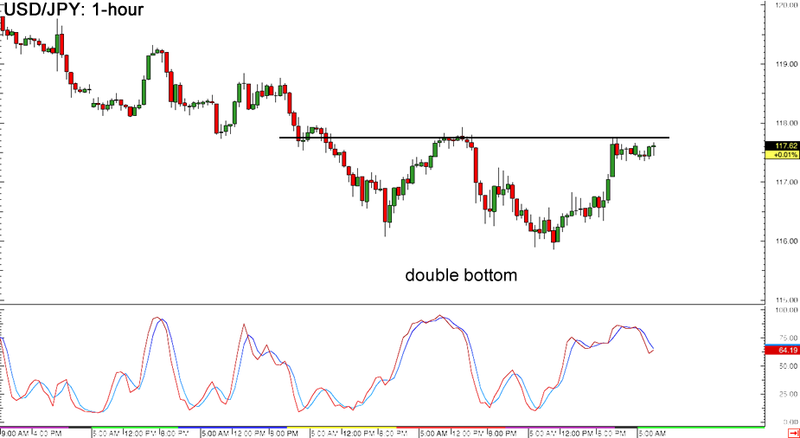 Here’s another double bottom pattern on a yen pair! As you can see on the 1-hour forex chart above, USD/JPY formed a potential reversal pattern with the neckline around the 117.50 minor psychological resistance. An upside break from this area could lead to a rally of around 150 pips, which is roughly the same size as the chart formation. For now, it seems that buyers don’t have enough energy to push for more gains since stochastic is heading south from the overbought zone and price might form another bottom around the 116.00 major psychological support level. 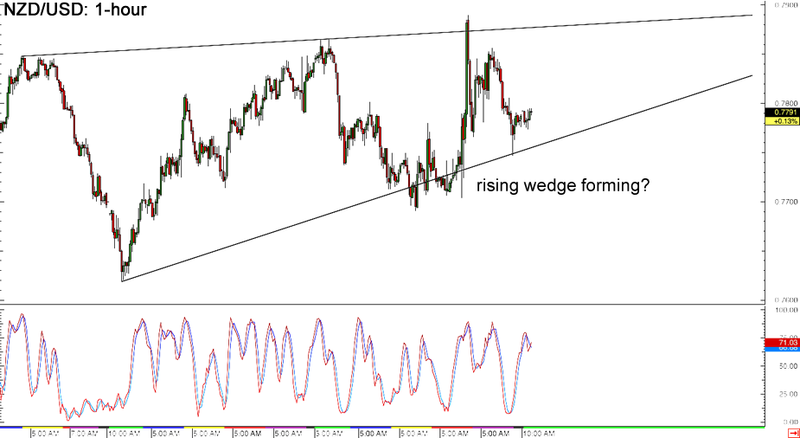 Last but not least is this rising wedge pattern forming on NZD/USD’s 1-hour forex chart. The pair is currently finding support at the bottom of the wedge and may be due for a strong bounce to the top, which is near the .7900 major psychological resistance. Stochastic is indicating overbought conditions though, which means that a downside break is possible if Kiwi bears take over. If that happens, NZD/USD could head for the nearby support at the .7700 handle or further down to the .7600 major psychological support.